Our clients have experienced the highest quality service and repair work on their vehicles. Find out what the all the fuss is about and choose from one of the 16 mobile mechanics in Lubemobile has in your area for you next service or repair work and have everything taken care of without having to go anywhere are at all. Join the satisfied customers who have already left us over 13 positive reviews in the Geelong region tell us how great your mobile mechanic was. Was a good experience with prompt service and knowledgable mechanic. Also was great to have the same day service optionbe able to book / check availability online. Keep this mechanic Jacob. I came back to you because he was courteiuos and punctual and a great demeanor. I would use him again with out hesitation. Have your vehicle repaired on serviced in Lara with the least fuss and hassle. You don’t even have to leave the house if you don’t want to. We will come to your chosen location when you want us to be there and take care of everything on the spot. 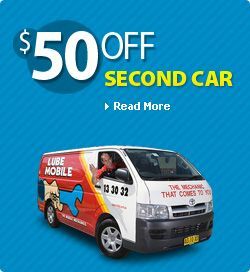 Lubemobile mechanics are Australia’s #1 mobile mechanic fleet servicing vehicles in all locations including Armstrong Creek, Lara and Grovedale. When your car needs to be worked on, book the mechanic who will get the job done on time, wherever you want them to carry out the work. Lubemobile mechanics have serviced over 489 vehicles in your area alone over the last 3 months, and while our most popular vehicle service in your area is typically Log book servicing, your mobile professional mechanic is able to complete a range of vehicles work including fixing a worn brake linehose , starter motor replacement. Our specialist tyre fleet will even carry out jobs like on site tyre replacement. To get your car whatever it needs completed on time and where you need your car to be, book a Lubemobile mobile mechanic. We work on all vehicle types including commonly serviced Holden, Ford and Toyota. 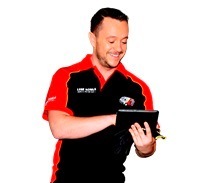 All work is carried out on site and your mechanic comes equipped for the job ensuring your time and convenience is affected as little as possible. Typical repairs and service work on Great Wall, BMW and Ssangyong have been carried out in and around your area already. Parts are sourced quickly and efficiently and we use on the highest quality spares such as carburettor, ignition system and cam angle sensor.